Optional Single Supplement: $1044 USD (number of singles limited). The cosmopolitan cities of Buenos Aires and Santiago are but the icing on the cake of this 13-day tour through two of Latin America's most colourful and vibrant countries. Our Chile and Argentina tours begin in Buenos Aires -- often called the "Paris of South America" due to its European-style architecture -- with a focus on a number of impressive public buildings. Included in the sightseeing: the Presidential Palace, Cathedral Metropolitana (resting place of famous South American liberator Jose de San Martin), the art deco wonder that is The Kavanagh Building and the National Congress. 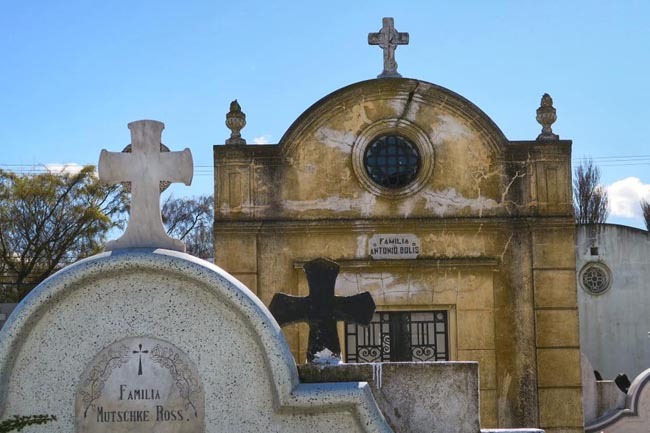 Other highlights on Chile and Argentina tours, over two complete days in the city, are Recoleta cemetery, with its elaborate marble tombs and statues, the photogenic port of La Boca neighborhood and an unparalleled shopping experience at the city's famous Galerias Pacifico. If desired, ask your tour leader about the options available for an evening Tango show. Next fly south to resort town El Calafate where you will visit the Glaciarium with exhibits that include a 3D documentary. 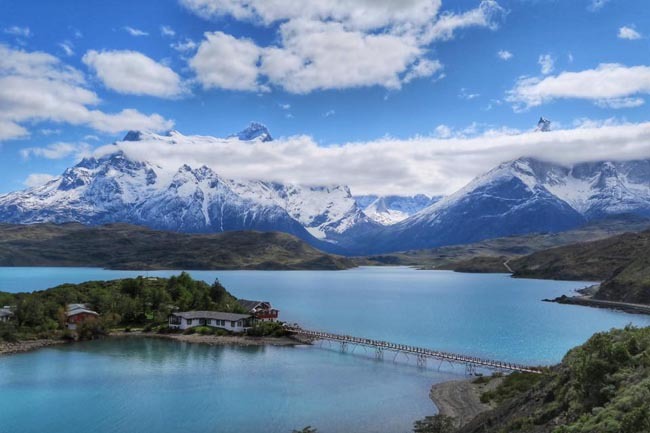 Insights gained serve as excellent preparation for the following day's journey into nearby Glacier National Park and its centrepiece, Perito Moreno glacier, one of very few advancing glaciers in the world. Day 7 finds the tour crossing into Chile via parts of legendary Route 40 that winds around the majestic mountain range of Sierra de los Baguales. 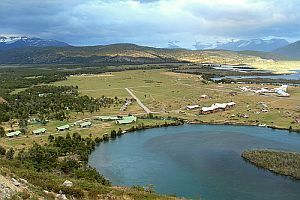 The day includes time for walks at Lake Nordenskjjold and the viewpoint of Salto Grande. 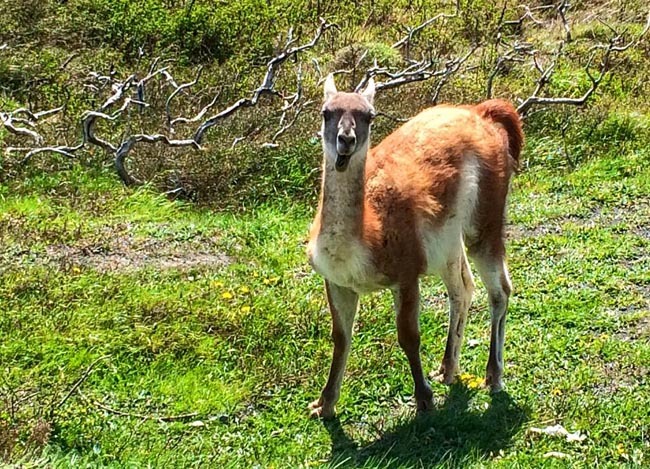 Day 8 is spent in Torres del Paine National Park, a biosphere denoted with UNESCO Heritage Park status. 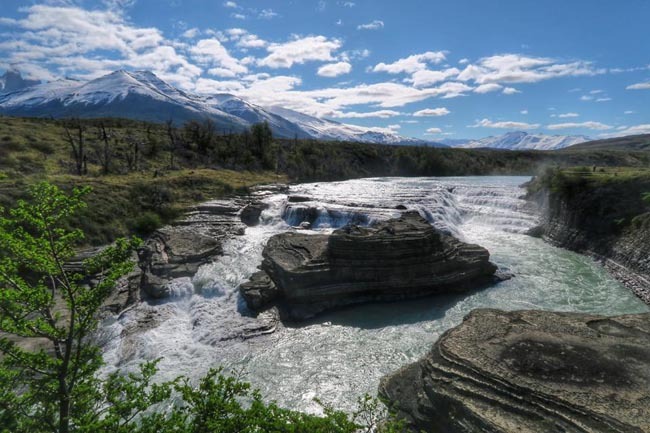 There you can take in part of the Paine Massif, whose towering granite pillars arise suddenly from the plains, a natural phenomena that, alongside waterfalls, mountains and glaciers, forms a large part of what makes Patagonia so special. 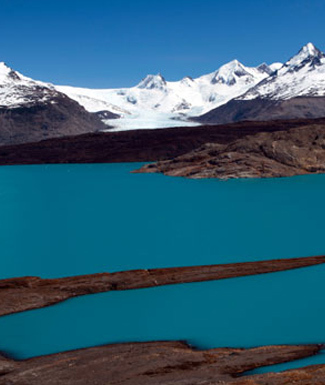 Torres del Paine is always a favourite on our Chile and Argentina tours. Animal inhabitants of the park include rheas (an ostrich-like bird) and the South American cameloid. Far from complete, the itinerary now focuses on the port Punta Arenas -- once a garrison and penal settlement -- before a flight to Santiago. There, visit the city's Plaza de Armas, site of many architectural marvels. Also in Santiago see the Centro Cultural Palacio, the neighbourhood of Bellavista and stroll through Quinta Normal Park. Cerro Santa Lucia, built on the hillside remnants of a volcano, offers stunning views from the centre of the city. Time is allowed for optional visits to the Pre-Columbian Art Museum or the Museum of Memories and Human Rights dedicated to human rights abuses occurring during the bloody regime led by Augusto Pinochet. 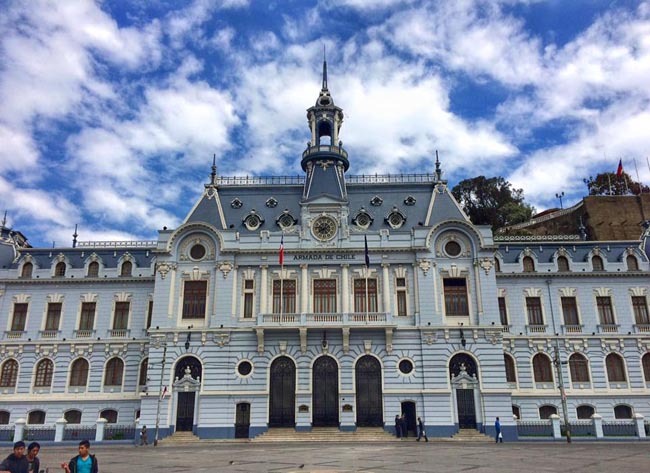 Not to be outdone, the nearby colonial city of Valparaiso provides great examples of late 19th century architecture with its labyrinth of streets and cobblestone alleyways making for a truly unique cultural landscape that earned it protected UNESCO status. Of special interest are the neighbourhood's many funiculars, a sort of cable railway perched at points between the many station houses that dot the steep terrain. Also included is a visit to La Sebastiana (a former home of poet Pablo Neruda) and enjoy a ride on Ascendor Artilleria, built in 1898 and one of the oldest elevators still in operation. 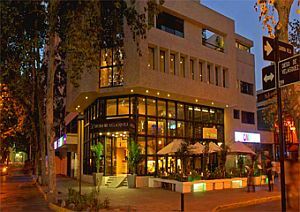 Return to Santiago after time spent at the popular resort Vina del Mar. I particularly liked the trips to Perito Moreno Glacier and Torres Del Paine National Park. Evening meal plan was very good, we visited mostly local restaurants. Laura, our tour leader, had a good personality and was organized and always in good spirits. Overall I enjoyed the trip, especially the excursion to Patagonia. Trips to glaciers and Torres del Paine were excellent. These excursions cannot be improved. The evening meals exceeded my expectations. Our tour leader Laura picked very good restaurants. All hotels were very good. No problems whatsoever. 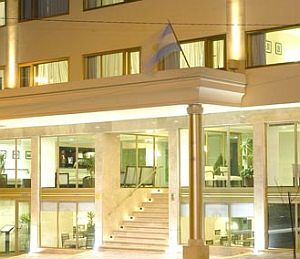 Early this morning we fly south to El Calafate, a resort town on the impossibly blue Lago Argentino situated at the entrance to the Glacier National Park. 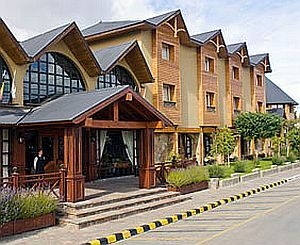 Calafate's name is derived from a little bush with yellow flowers and dark blue berries that is very common in Patagonia. Ice cream featuring the calafate berry is also very common in the many little shops that line the town's one main street. Though this is one of the most developed towns in the region, one can still appreciate its remoteness and rugged beauty. Today we have a +/- 6 hour drive to Torres del Paine. We drive across the steppe following parts the legendary Route 40, to get around Sierra de los Baguales, an impressive range in between Calafate and Paine. We cross the Argentinean Chilean border at Cancha Carrera / Cerro Castillo, and soon thereafter the open steppe gives way to rolling hills stretching to the Paine massif that eventually looms above the horizon. The Torres del Paine (Towers of Paine) are spectacular granite pillars which soar almost vertically more than 2000 m (6,000 feet) above the Patagonian landscape. The park in which the high peaks sit may be considered the finest national park in all of South America. With turquoise lakes, roaring waterfalls, rivers and creeks, dense forests and sprawling glaciers, this is an unequalled destination. We'll stop in the Lake Nordenskjold and in Salto Grande viewpoints for short walks. 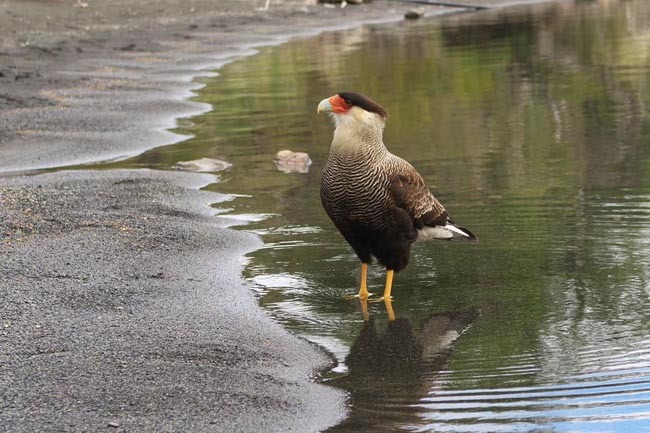 Today we travel by road to Punta Arenas, located at the foot of the Andes on the western side of the Straits of Magellan, facing the island of Tierra del Fuego. This port attracts commerce and shipping from all over the South Atlantic. Founded in 1848, the city was originally a military garrison and a penal settlement; port facilities soon became established as a stop over for shipping en route to California during the Gold Rush. The population increased and the town developed as a result of the wool boom of the late 19th and early 20th centuries. Immigrants from all over Western Europe were attracted to the area, bringing with them major developments to fishing and farming. While not the most interesting town for visitors, our drive to get here is extremely scenic, and it possesses the only airport in the area. The locals are also very friendly and welcoming. Today we fly to Santiago de Chile, the capital of and largest city in Chile. Santiago basks in one of the most spectacular settings of any city in the world. A glance through the downtown blocks reveals a mighty circle of mountains -- the snowcapped Andean peaks to the east, and a smaller coastal range to the west.